How the Culinary Breeding Network is bringing chef- and-farmer selected pepper varieties to the table—plus a recipe for making the most of your pepper harvest at home. If you live in Portland, eat at restaurants, or shop at farmers markets, you’ve eaten a Gypsy pepper. They’re blocky, thick-walled, prolific growers setting an abundance of sweet red fruit on every plant. Farmers love Gypsy because it tastes great, ripens early, and has few problems with cracking or sunscald. But Gypsy isn’t perfect. It’s a hybrid variety, and hybrid seeds can be expensive. In contrast to open pollinated varieties, hybrid seed doesn’t grow true to type, which means seeds saved and planted the next year may grow into something completely different from the plant they were saved from. Hybrid varieties are also vulnerable to disappearing, especially when larger companies buy smaller seed companies and reduce variety offerings. Recently, Oregon farmers noticed unexpected variation in the quality of Gypsy and had difficulty finding seed, indicating a possible disappearance of the beloved variety. It’s not the first time hybrid loss has impacted Oregon farmers. In 2004, Gathering Together Farm’s Joelene Jebbia was mourning the loss of one of her favorite hybrid peppers, La Paris. She asked Frank Morton, master seedsman of Wild Garden Seed, if he could create a replacement: an open pollinated sweet pepper with thick walls, thin skin, great flavor, robust structure, and a long, tapered shape. Morton grew and selected plants from La Paris for seven years, allowing them to freely cross-pollinate, creating novel genetic combinations. His efforts produced five new open pollinated varieties, including the tapered, thin-skinned Joelene’s Rustic Italian. Many plant breeders work closely with farmers and academics, but now a new group wants to bring chefs and retailers into the fold. The Culinary Breeding Network (CBN), a collaboration between Oregon State University, Organic Seed Alliance, and many local farmers and chefs, is dedicated to bridging the gap between breeders and eaters to improve agricultural and culinary quality in the Northwest. Historically, most farmers and researchers tested varieties by simply taking raw bites right in the field—a process CBN has considerably refined. 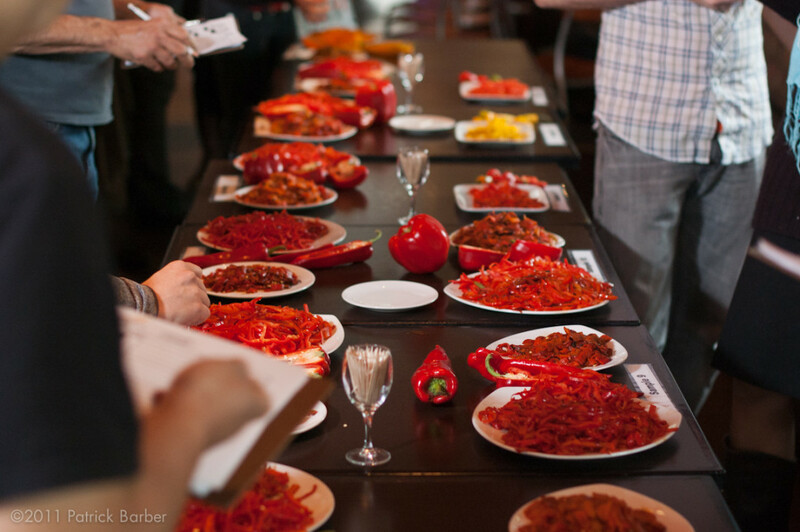 As farmers scrambled to find viable replacements for Gypsy in 2011, the CBN held its inaugural formal taste test at Tabla in Northeast Portland, where nine pepper varieties were displayed whole and halved, then evaluated raw, sautéed, and roasted by chefs, farmers, and researchers side by side. Three of Morton’s peppers shone in the field and kitchen as a suitable substitute for Gypsy. Stocky Red Roaster, one of those three, was subsequently picked up by several national seed companies and Wild Garden Seed saw sales balloon. This year, the CBN is conducting a series of trials on four chef- and farmer-selected vegetables: purple sprouting broccoli, cabbage, chicories, and yellow storage onions. The hope is that new connections and a sense of shared purpose will help farmers and chefs work together even more closely to develop varieties well-suited to our growing conditions and culinary scene alike. Interested in learning more about CBN events, upcoming tastings, or chef partners? Contact the organization’s Director Lane Selman at laneselman@gmail.com. To preserve an abundance of sweet peppers, chef Timothy Wastell of Old Salt Marketplace recommends lightly pickling them before submerging in oil. Feel free to use raw peppers that have been stemmed, seeded, and coarsely chopped for a crunchier texture; or use roasted and peeled peppers for a sweeter, velvety product. Bring the brine to a boil, then add chopped peppers. 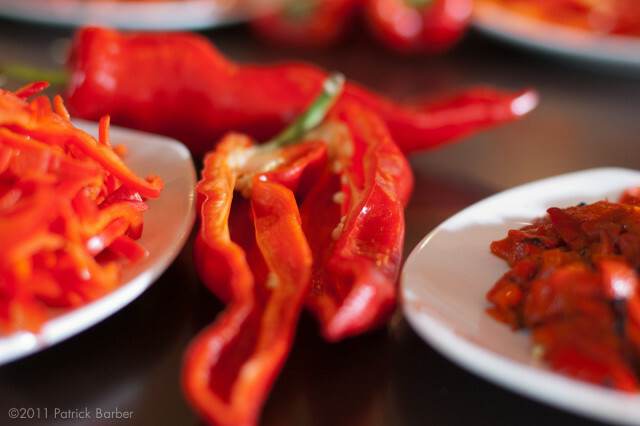 Return the contents to a simmer, then remove from heat and allow peppers to cool in the brine. Drain the peppers (brine can be reserved and re-used for the next batch), then pack tightly into jars. Cover the contents in olive oil, then refrigerate, making sure the peppers remain submerged by adding more oil as needed. These are outstanding as antipasti, on pizzas and sandwiches, or even chopped in salad dressings or sauces.